Cheap Wet Room Shower Formers online? View our budget collection! Linear Drain Included at no extra Cost! Wet rooms are an essential addition to any modern home, and if you are upgrading your bathroom area to the latest most stylish designs, you will be wondering what is the best way to create the right gradient for your wet room floor. While fitting a traditional shower is relatively simple, it is not so easy to get just the right angle for your wet room floor. 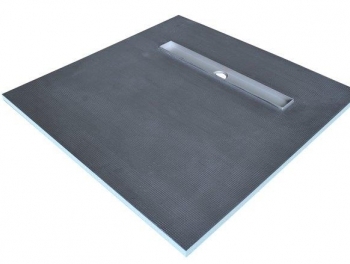 Getting the perfect gradient for easy drainage is essential to the effectiveness of your wet room area and now you can simplify the process by installing one of our wet room shower tray formers. 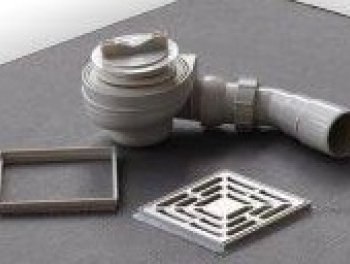 A wet room shower tray is the ideal way to get just the right angle for perfect drainage in your wet room floor, and because they are strong and durable as well as simple to install, there is no better solution for either concrete or timber floors. 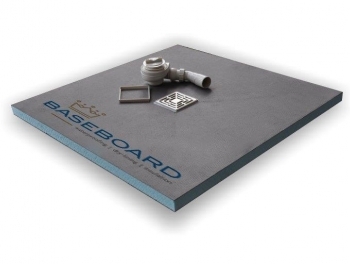 Each wet room shower tray is designed for use in conjunction with our insulated tile backer boards for the quickest and most convenient solution. 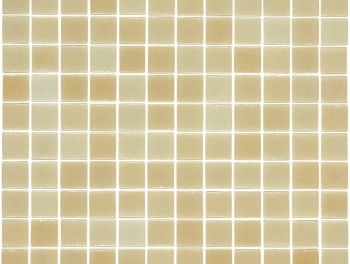 When used together, you are guaranteed to achieve the most professional and perfect finish for your wet room with the smoothest surface on which to fix your choice of tiles. All of our shower trays represent the easiest way to create a walk in shower, providing a waterproof base with an inclusive trap and stainless steel grate. Lightweight, yet strong, they are incredibly quick and easy to install and they are suitable for both indoor and outdoor spaces.